Penguins aren't that much different than we are. They question their wardrobe choices. They have four margaritas and decide to write their memoir. 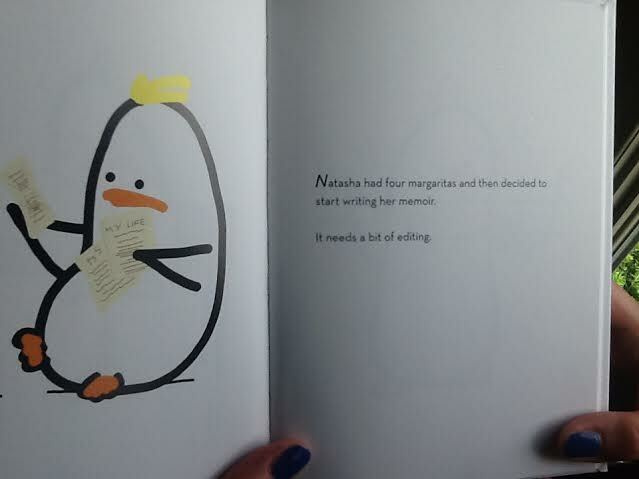 The brilliance of Penguins with People Problems is that Mary Laura Philpott's penguins soon become the friends you wish you had in real life. They did for me. I want you to have these penguins as your friends, too. So I am doing a book giveaway of Penguins with People Problems. Leave a comment here or on my Facebook page for a random draw next Tuesday. Good luck! And until then, don't attempt the smoky eye the way Penny did-no matter how easy the YouTube tutorial makes it look. You can follow along with the penguins on tumblr by clicking here. To order your copy of Mary Laura Philpott's Penguins with People Problems, click here. 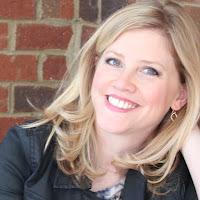 Mary Laura Philpott is an author, editor, and occasional artist who has written for The New York Times, The Queen Latifah Show, The Tennessean, The Barnes & Noble Book Blog, and The Toast, among other publications. She is the editor-in-chief of Musing, the online literary magazine produced by Parnassus Books, as well as the co-author, with JD DuPuy, of a popular humor book for lawyers, Poetic Justice - Legal Humor in Verse. She also runs her own humor blog, "I Miss You When I Blink." You're the cutest -- thank you! I need this book. Because - I am THAT pengiun!! You won, Natasha! Going to email you now!